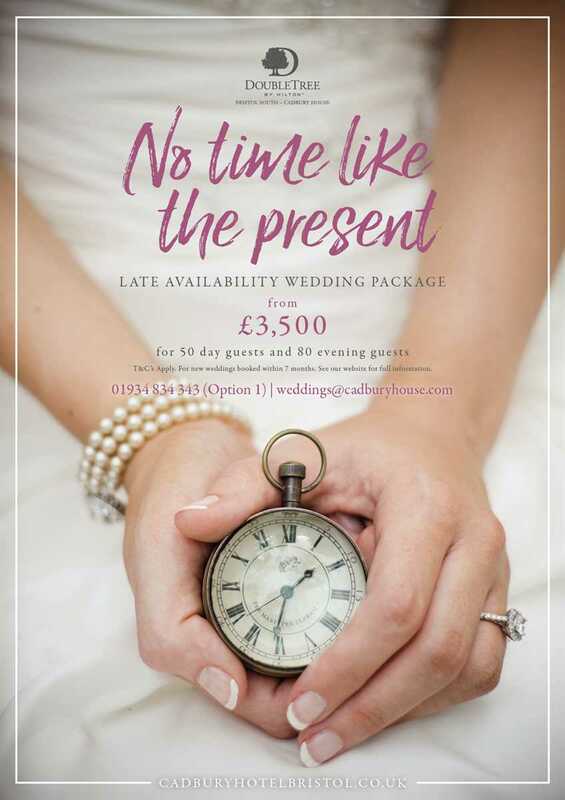 Late Availability Package NO TIME LIKE THE PRESENT Has love struck you suddenly? Wanting to tie the knot? We have the Perfect Package for your Perfect Day. Terms and conditions apply. For new bookings only for selected dates between November 2018 to April 2019. Deposits are non-refundable and date is non-transferable. Dates are subject to availability at the time of booking. Excludes; Christmas Eve, Christmas Day, New Year’s Eve, peak Christmas party dates in November and December and New Year’s Day. Supplements may apply for Valentines weekend, Bank holidays and Easter.